The Vancouver Condo Buzz » From $109,900! The New BALANCE Surrey Condos in Gateway District by Tien Sher > Affordable Surrey Balance Floor Plans and Features Released! From $109,900! The New BALANCE Surrey Condos in Gateway District by Tien Sher > Affordable Surrey Balance Floor Plans and Features Released! Brand new Surrey condos from just $109,900! It can’t get any better than this! The new Gateway Surrey condo project at Balance features a limited and very affordable collection of only 56 condominium residences. 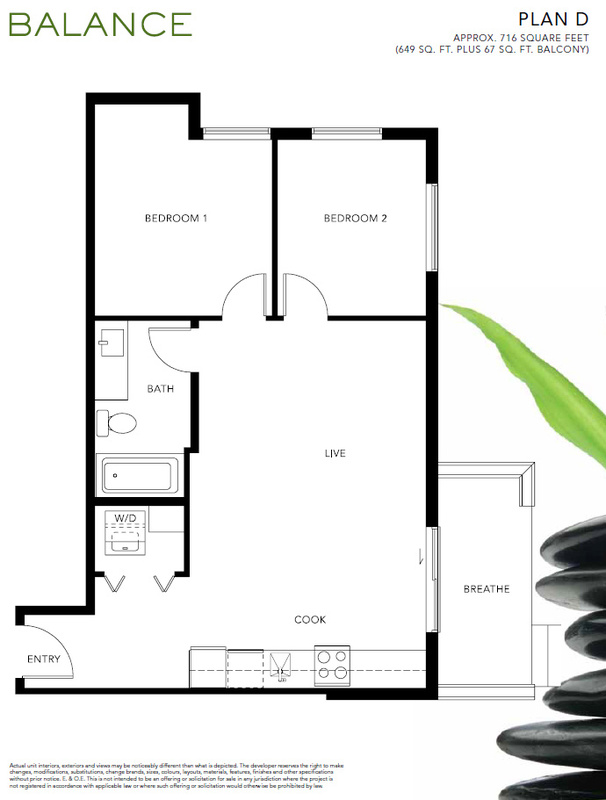 Centrally located in the Gateway District of downtown Surrey real estate market, the affordable Balance suites start from less than $110k, which makes them the most price conscious project in the Lower Mainland/Fraser Valley in 2013! Every square inch of your new affordable Surrey Balance condo has been carefully planned, designed and built, to make sure that you get the best bang for your buck. Providing the best gateway to Surrey’s new downtown core, the Balance Surrey condos are also very close to both the Port Mann and the Pattulo bridges. For those who prefer public transit, the truly affordable Surrey condos at Balance condos are just a five minute walk away from the Surrey Gateway SkyTrain Station. Other key highlights of the area include the Central City Shopping Centre, Holland Park, Surrey Memorial Hospital and Guildford Town Centre. Visit www.liveatbalance.ca for more information. Balance Surrey is a 4 level low-rise building. DREAM SUITE GIVEAWAY! 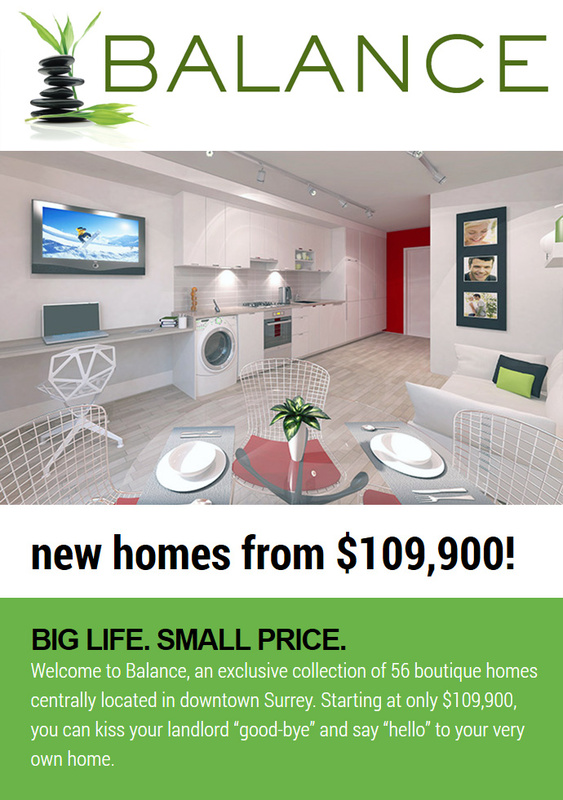 Click “Like” on the Balance Surrey condo web site to enter for your chance to win $20,000 home furnishings for your new home at Balance in Gateway Surrey real estate district! 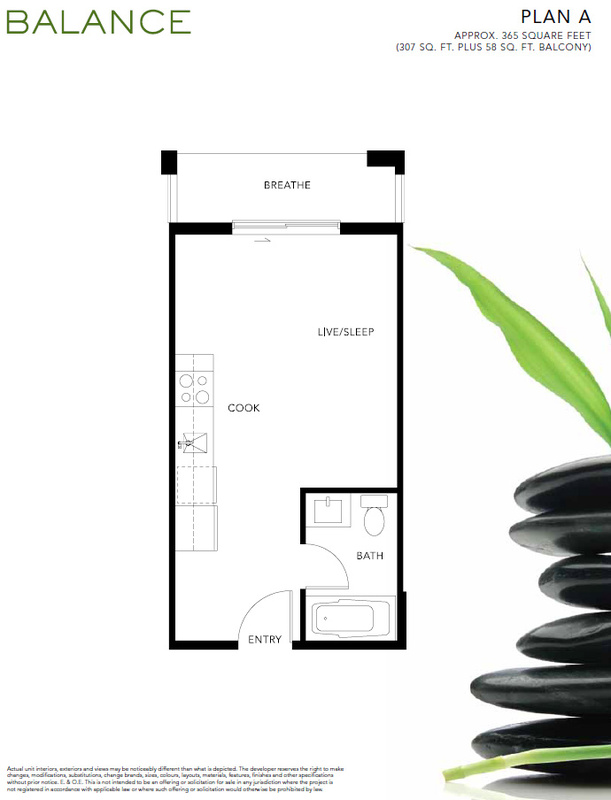 If you are currently in the market to purchase an affordable Surrey condo, look no further than Balance by Tien Sher developers. 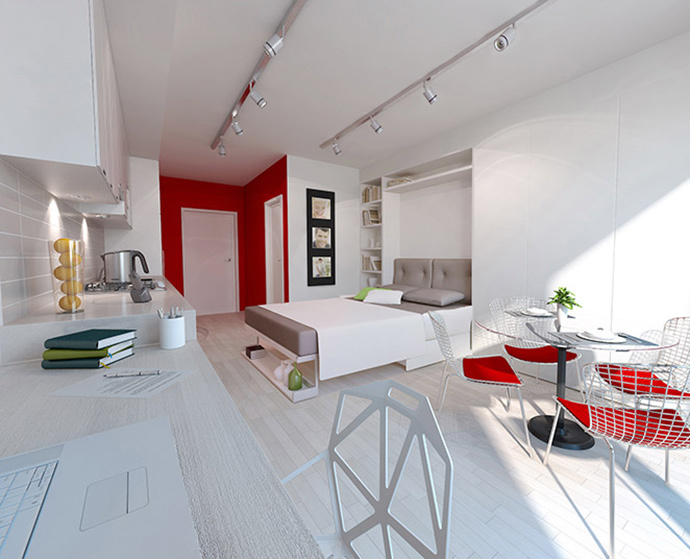 Here, you will get the best bang for your buck with suites starting from just $109,900. Tien Sher is a notable and ground breaking developer that focuses on well finished and planned homes at an affordable price. Here at the Balance Surrey affordable condos, home buyers will find nine foot ceilings in living spaces (8 foot in bathrooms) as well as track lighting that is energy efficient. There are laminate oak floors in the kitchen, dining and living room (scratch resistant, low maintenance) as well as large open air balconies. Other great features of these affordable Surrey condos include oversized double glazed windows (energy efficient) and sliding glass doors. All homes come with the 2-5-10 year home warranty protection. All residents will have individually coded security key fobs and the building will have security cameras, hard wired smoke detectors and secure double gated parkade with emergency alert buttons. The Balance Surrey affordable condos will also have engineered party wall construction for extra sound buffering in addition to 1.5” light weight concrete toppings between floors. The building itself will have a rainscreen envelope. The bathrooms at the Gateway Surrey Balance condos will have large format porcelain tiled floors in addition to ceramic tiled surrounds for the shower and tub. There is a contemporary skirted bath with polished chrome eco three jet shower head or a walk in shower with sliding doors as per your floor plan. Other great bathroom features include a two piece toilet (Mansfield) as well as GFCI plugs and designer mirror with polished edges. The kitchens at the affordable Surrey condos at Balance by Tien Sher include an Energy Star rated kitchen appliance set that includes food waste disposal unit by Waste King, a free standing 24” standing range by Frigidaire with a storemore storage drawer in addition to a range hood by Broan. The fridge/freezer is a 10 cu ft Frigidaire unit and there is also a Frigidaire built in dishwasher for every home. The kitchens at the affordable Surrey Balance condos also include polished quartz counters as well as white pressure laminate cabinets with modern chrome hardware. The backsplashes are ceramic tiled and there is also a Riobel dual spray pull down faucet. The sinks are stainless steel too. Upgrades are available for lighting, shower doors, custom wall beds, millwork, laundry appliances, counters, cabinetry and appliances. 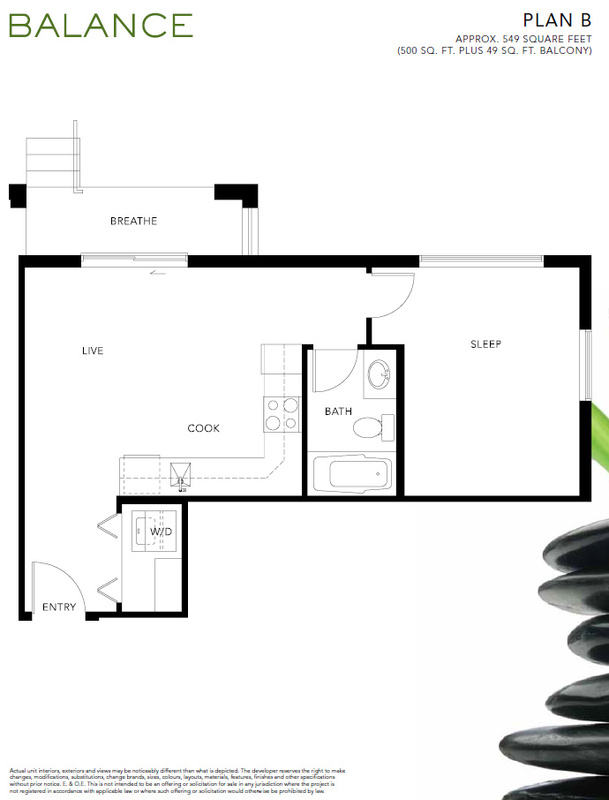 Here are some of the functional floor plans at the most affordable Surrey condo project of 2013! Floorplan A is approximately 365 square feet (307 plus 58 sf balcony) while Plan A1 is approx. 477 sq footage (419 + 58 sf balcony). The Balance Surrey floor plan A2 is 360 square feet interior with 69 square foot outdoor living. Layout A3 is 322sf plus 67sf outdoor. The functional floor plan B is approximately 549 square feet total with a 49 square foot balcony and 500 sqft interior living space. Layout C is 399 sf total with 344 sf inside and 55sf outdoor. Floorplan C1 is 440sf total with 55 sf outdoor living. Last but not least, the Surrey Balance functional floor plan D is the largest layout by far and is 649 square feet inside with a 67 sqft balcony for a total of 716 sf. Savvy home buyers will always look at the project team responsible for the design, construction and finishes at a particular Surrey real estate development. Here at the affordable Surrey condos at Balance, Tien Sher Group of Companies is the builder/developer and they have over 21 years of experience in building and selling innovative real estate projects that are well situated. The affordable Balance Surrey condos are situated in a liveable and walkable neighbourhood close to the Surrey City Centre where residents may work and play. The Balance Surrey Gateway condo building architecture is by Cotter Architects/Yamamoto Architecture Inc and the interiors are designed by award winning Portico Design Group. The landscaping at Balance Surrey Gateway condos strives to connect residents to both private community commons and urban street life. This is only due to the amazing work by van der Zalm + associates Inc. More information about Balance Gateway condos is located online at www.liveatbalance.ca.